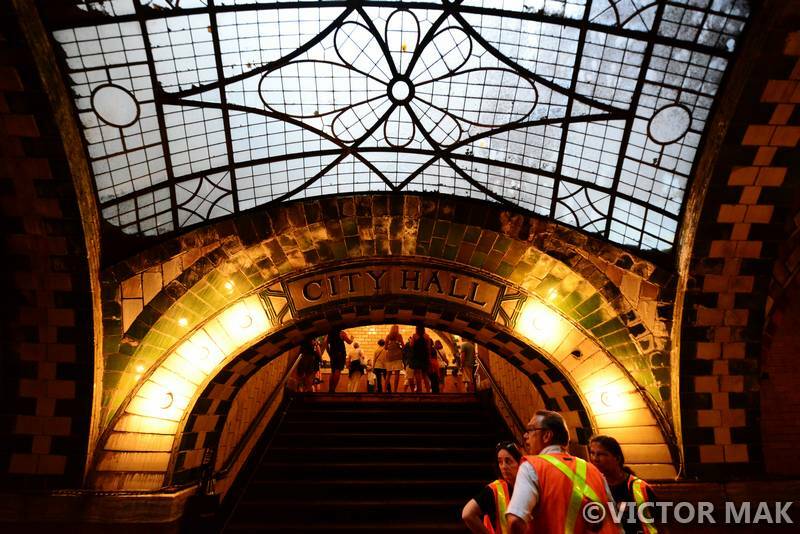 This is the reason why we joined the Transit Museum – to go on a tour of the Old City Hall train station. It’s a beauty to the eyes, too bad they don’t design things like this anymore. We had to hop on the 6 train at the last stop, the train stops on the turnaround and let’s you off at the old unused platform and they let us off. 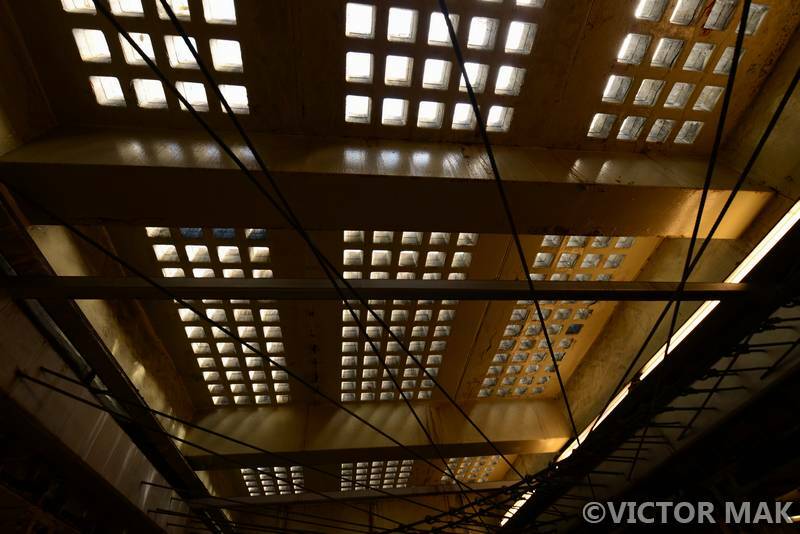 The first thing you want to do is stop and look up but you have to get off as quickly as possible to let the our tour members off. Being there felt like we had the keys to the city. It was amazing and totally worth our membership fee. The architects were George Lewis Heins and Christopher Grant LaFarge, the guys behind Cathedral of St. John the Divine. 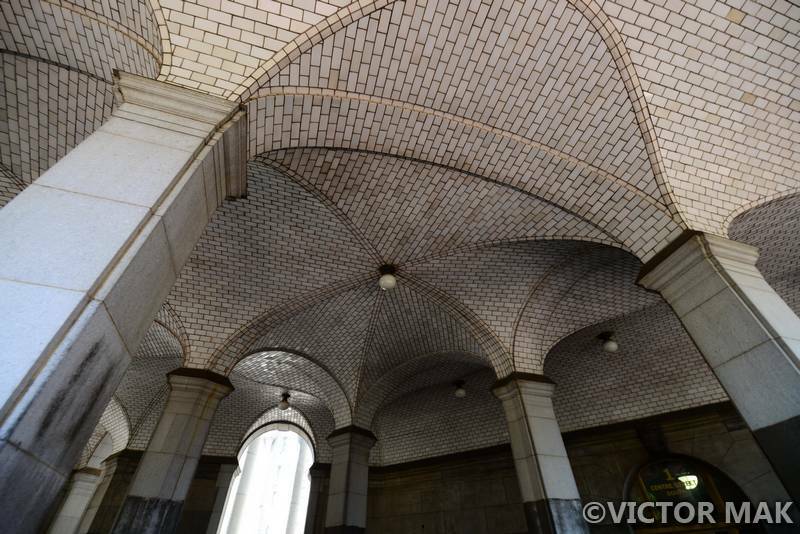 The engineers were Raphael Guastavino, William Barclay Parsons, and Gutzon Borglum. Arches are used to support the weight of the structure. You won’t see any steel beams in there (Vic doesn’t remember hearing this, I think I did so it’s up for debate.). 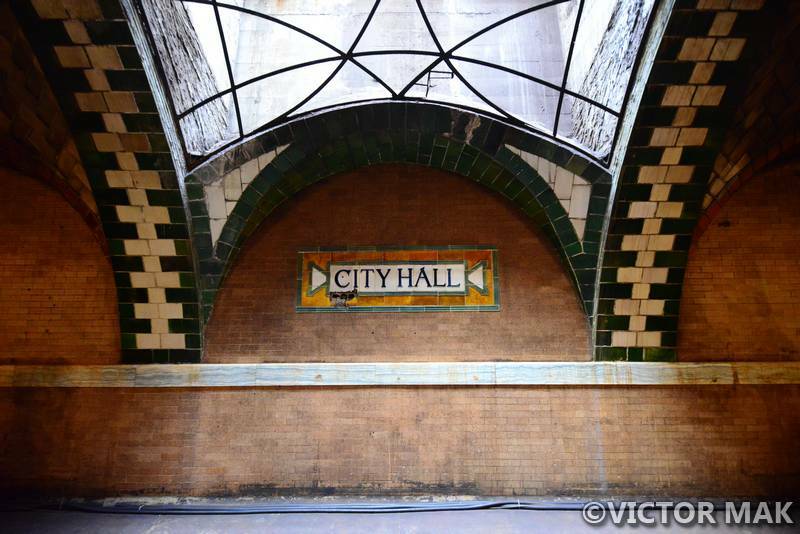 City Hall station opened in 1904. It was designed to be a showpiece. Originally, the station was going to be annexed for the Transit Museum but due to security issues, it stays unused except for tours and the 6 train going along its route. 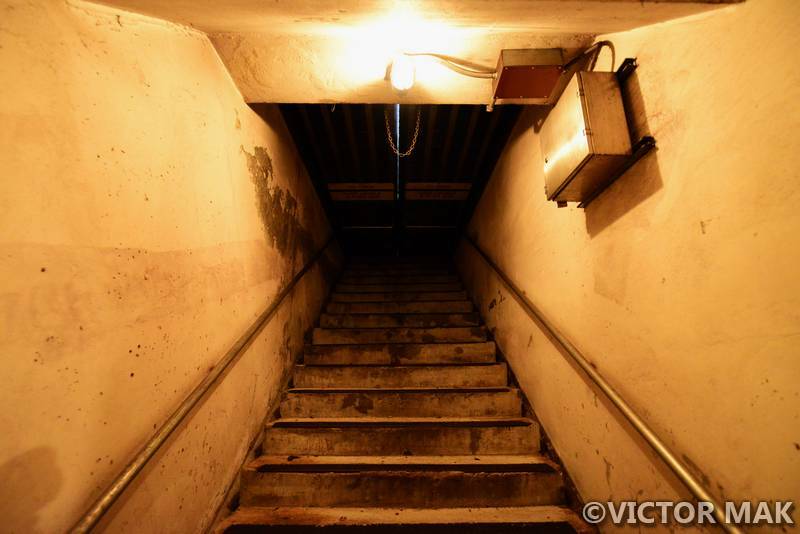 On the mezzanine level there was a ticket booth and two stairwells to the street. 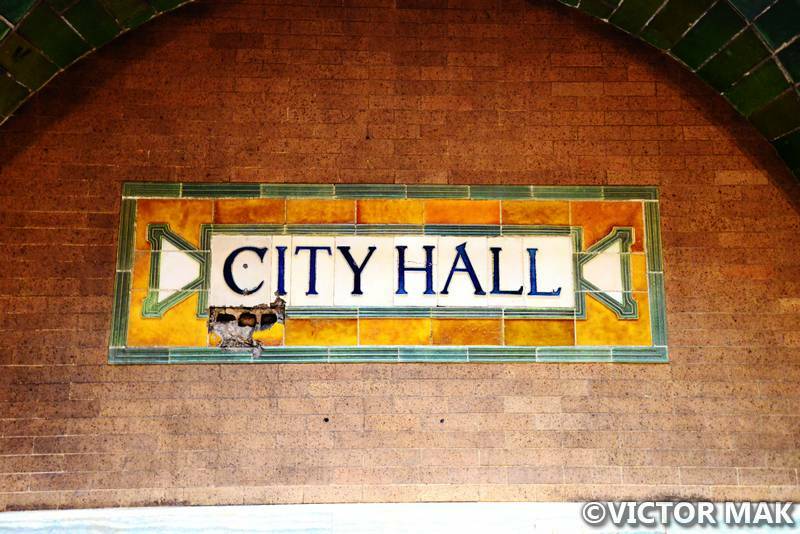 Due to lack of ridership on this line, the old City Hall Station was closed in 1945. The usual IRT station was fitted for 5 train cars but increased ridership required longer cars. In the 1940-1950s work was done to accommodate longer train cars. It is uniquely elegant compared to the old IRT train stations. 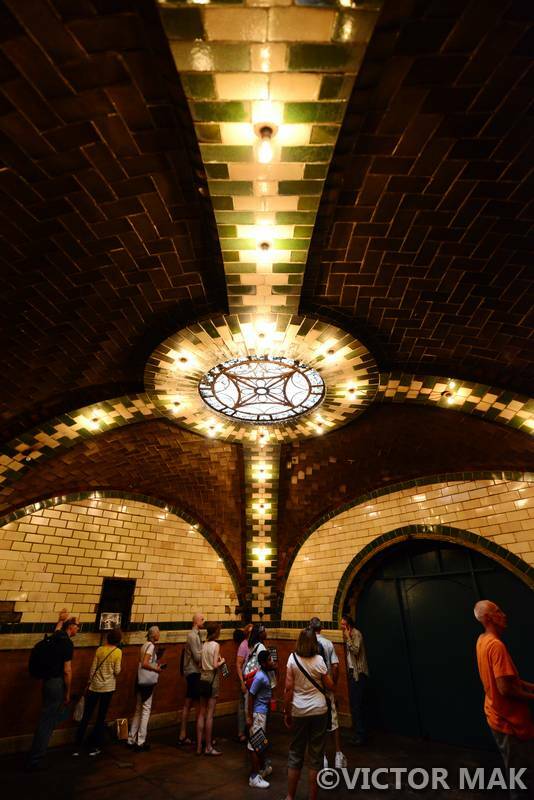 Here’s another example of Guastavino’s workmanship. 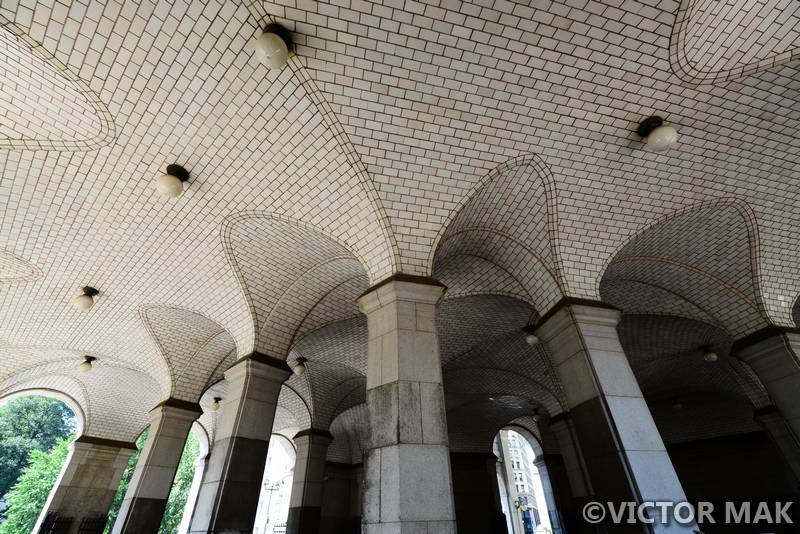 His elegant arches underneath the municipal building, standing above the Brooklyn Bridge subway stop. 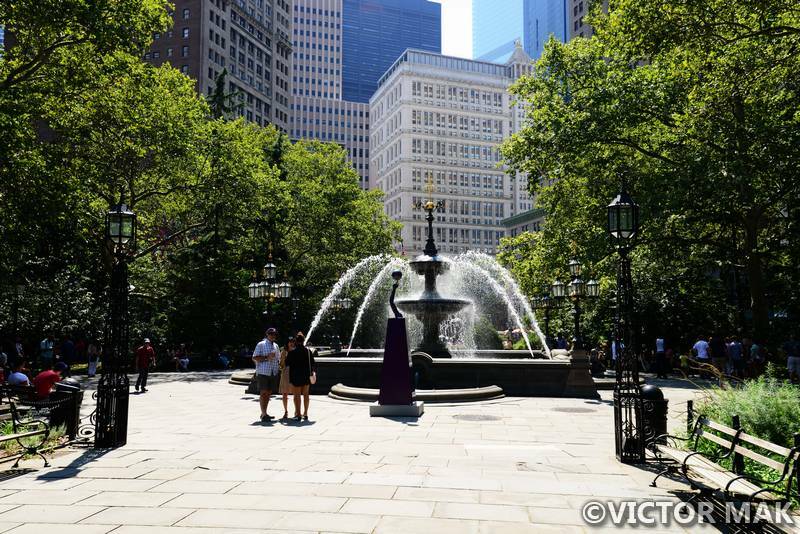 The fountain at City Hall Park is where a triangular post office use to stand. In 1939 the post office was torn down opening up City Hall’s view to St. Paul’s Chapel. The fountain use to be farther to the side closer to the Brooklyn Bridge and water from the Old Croton Aqueduct use to flow from it, the trail we walk a lot along the Hudson. There were two fountains from what I’ve been reading. I think this fountain was designed by Jacob Mould. In 1920, the fountain was taken apart and shipped to Crotona Park in the Bronx. For more about the fountain, click here. This is the turnaround the trains ride along to turn back uptown. 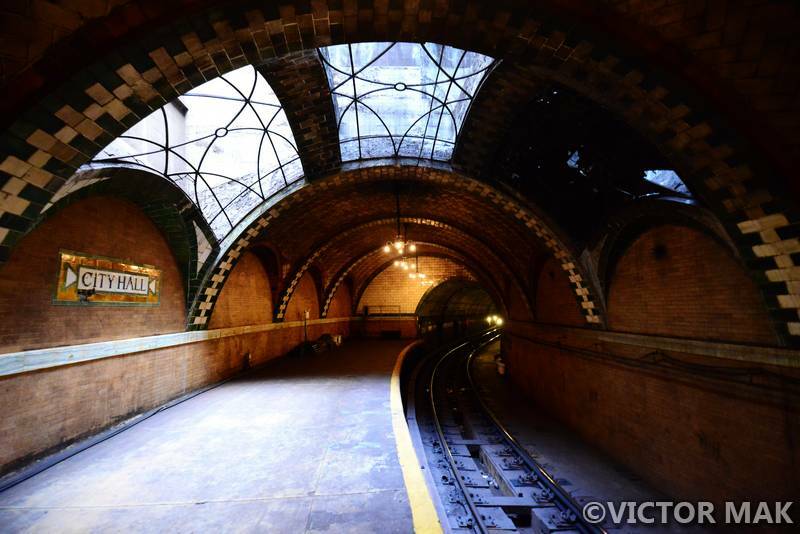 Posted on August 23, 2015 April 28, 2017 by jebusandandrea	This entry was posted in Abandoned, History, New York, New York Transit Museum, North America, NYC, Trains, USA and tagged Abandoned, City Hall Station, Exploring, History, MTA, New York, NYC, Photography, Raphael Guastavino, Ruins, Trains. Bookmark the permalink. 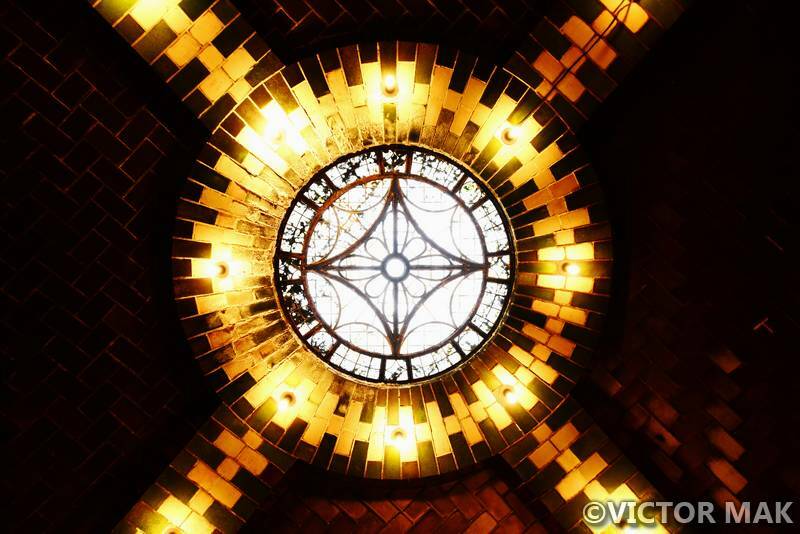 The Old City Hall station is gorgeous! It’s too bad it’s not actively used now. 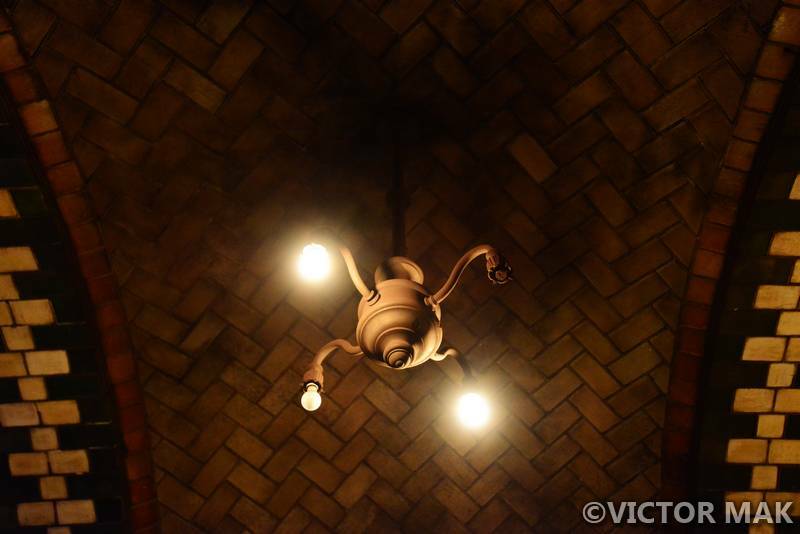 The tile and skylights are too beautiful to hide from the public, and I love the vaulted brickwork. 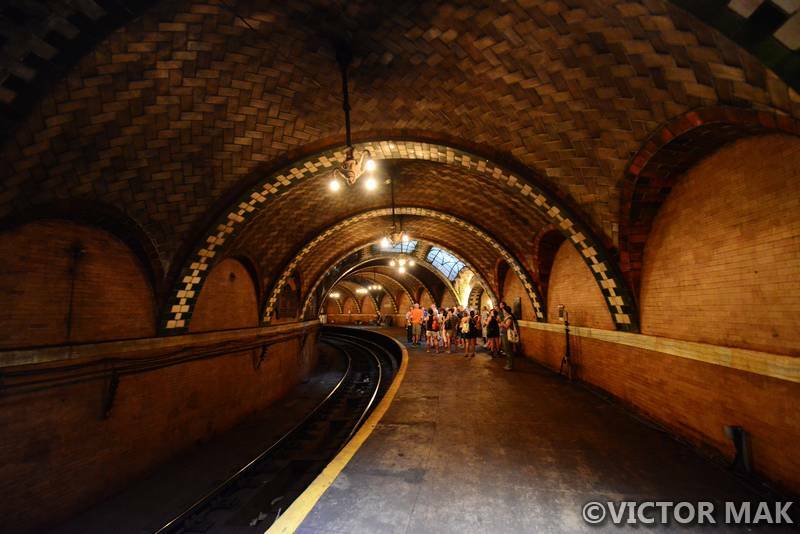 Hope they give tours in the secret chamber below Grand Central! 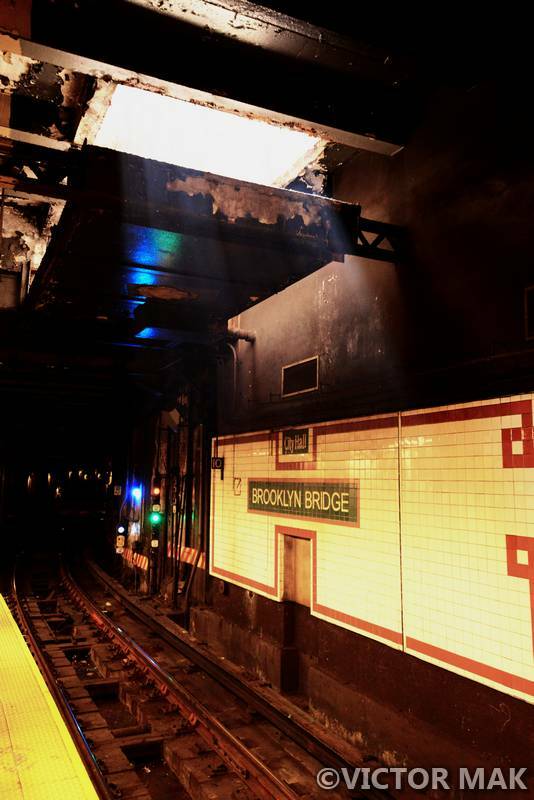 Maybe I should email the MTA. We waited a long time to see the City Hall Station. City Hall is stunning.The one below Grand Central was used by FDR. So far it looks like they won’t be opening that one to the public. What an awesome post! Such great history and pictures! Thanks so much! Thank you! We waited a long time to go on this tour. We kept missing ticket sales. Fun tours with the MTA, feels like we were given keys to the city. Very nice photo and I had never seen anything like this! I love reading blogs you get to see amazing things! Thanks for sharing! that was like sitting in a time machine with you… many thanks for such an interesting post!!! Thanks! So tempted to go on one of their retro train car tours but then realized it’s summer and retro means no ac! Maybe if we can catch tours in different season. I can see why you thought you were given the keys to the city, wow. Such a show of rich history and a look into building and structures that they don’t design anymore ~ so pleasing to the eyes. Cheers for another great post. Hope they open up the chamber below Grand Central that FDR use to use. I don’t think that will ever happen though. 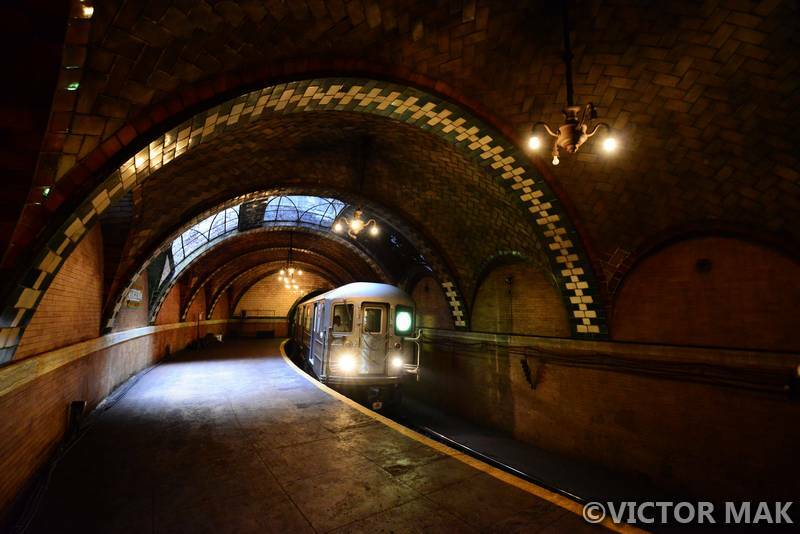 Would be cool if the MTA gave tours of it in the future. A fantastic post. A truly elegant station, would love to photograph it. Thank You! Wish they still designed train stations like this.